The summer weather appears to be coming to an end, and the rain on Friday certainly showed that autumn is just around the corner. 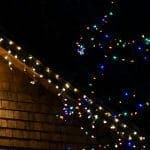 As with all rain, it can fall very hard and be very intense, especially in the Yorkshire area, which can cause severe damage to your roof and the contents inside the house. Here at DPR, we have been fixing roof leaks for a number of years, and know that the problems escalate during the first heavy rainfalls of the winter period. 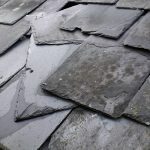 Weighty rainfall will show up any problems in the roofs, and can also increase the risks of tiles or slates moving, which creates small gaps that water can penetrate through. Rain can fall at any time which is why we also offer a 24 hour emergency service, so that if you do have a problem with your roof, it can be resolved quickly and get you back living your life as soon as possible. 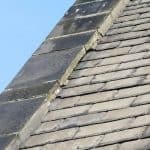 Domestic roof repairs can be a simple process if you inform us as soon as the problem arises, and our surveys team will also be able to carry out a search on other areas of the roof which will help prevent this sort of damage happening again. This is just one of our many roofing services we have in the Yorkshire area, which also include new roofs and commercial and domestic flat roofing. Flat roofs are susceptible to water damage during heaving rain too, with water collecting on top if the current drainage is not quite right. 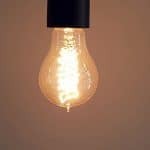 This can put extra load and stress on the material, which could eventually lead to a crack or worst case scenario, the roof caving in. To protect your contents under the flat roof, we can also come as check, as well as install, flat roofs that can last up for more than 10 years. So if you have noticed some damp patches in the house, or become aware of a cracked or moved tile on the roof, then give us a ring on 0113 335 0043 before it is too late.